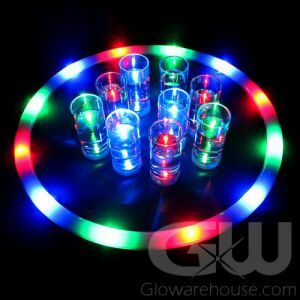 - Light Up Flashing Shot Glasses! - Classic 1 1/2 oz Style Shot Glass! - Drink Promotions! Bars! Night Clubs! Parties! 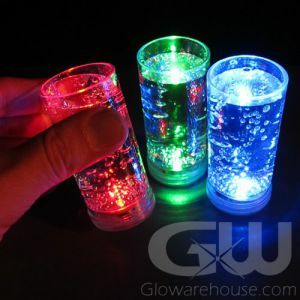 Put some fireworks into your party’s refreshments with Flashing LED Shot Glasses from Glowarehouse.com! 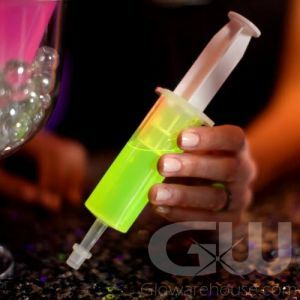 Just pour your favorite liquid into the LED shot glass and watch as the internal liquid sensor activates and the glow in the dark shot glass suddenly bursts into a brilliant pulsing flash of color! 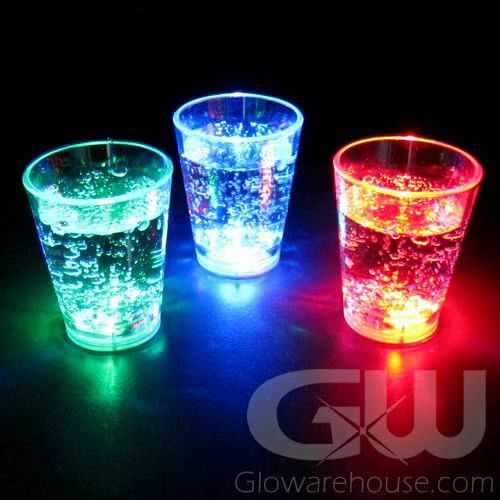 These one and a half ounce glowing shot glasses are the hottest accessory for any pub, club or home bar and are lots of fun at weddings, banquets and corporate promos! 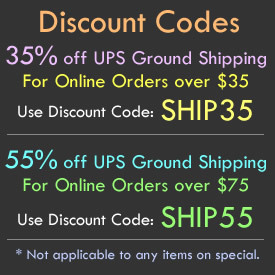 Each shot glass is made from food safe acrylic plastic with batteries already installed. 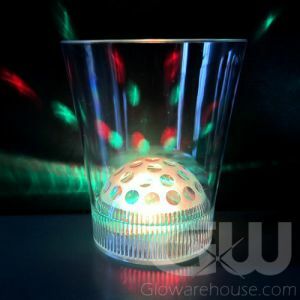 So crank up the party at your next gathering with Light Up LED Shot Glasses!